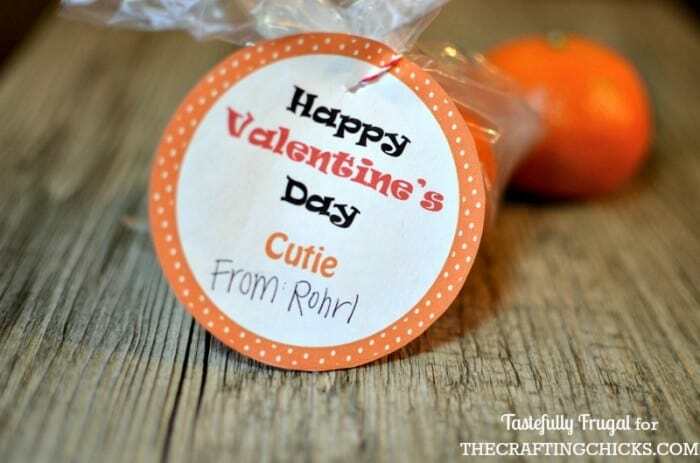 Hand out healthy valentines this year with these easy (and affordable) Cuties! 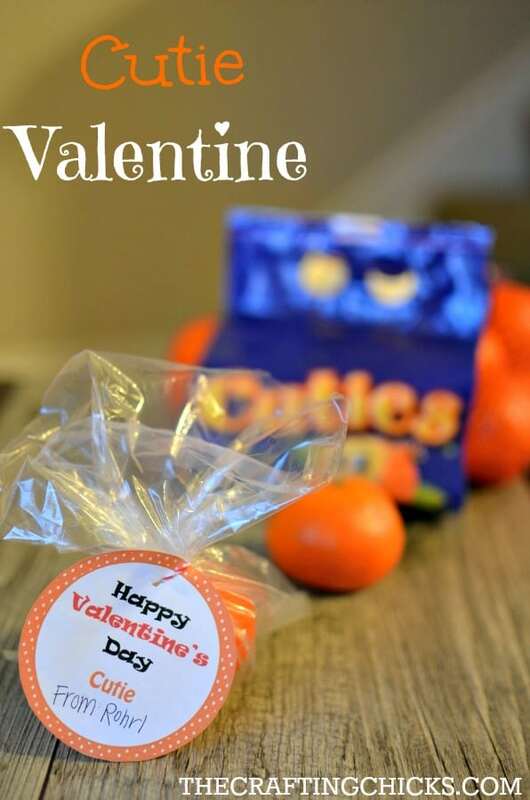 I don’t know about you, but by Valentine’s Day I have about had it with candy and sweets and am always looking for fun, non-candy treats for my little guys to share (and keep around the house). One day when I had been thinking about what we could do this year, both boys came running over to me after seeing a McDonald’s commercial with Cuties in them and demanded asked for oranges. Being ecstatic that they were asking for fruit and not a happy meal I happily obliged and went to the store that day to pick some up (they were a little disappointed when they didn’t get a toy or fries but they got over it quickly). If your kids are anything like mine, the second those Cuties (or Halos or Buddies) hit the counter, the bag is ripped open and a good portion of them are gone within minutes. They are a healthy treat, and we can use all the Vitamin C we can get this time of year, so I’m not too concerned about them getting gobbled up. Geez, I’m making my family sound like a bunch of wild animals! When I was thinking about what to make for the boys’ Valentines this year those Cuties were one of the first things that came to mind. Not only are they good for you but they are also so easy to put together; put one in a treat bag and tie a little tag around it. Easy Peasy! I’ve even included FREE printable tags for you to use! Click here to download your tags. What “Cuties” could you hand these out to this year? Originally seen on The Crafting Chicks. These are so adorable! 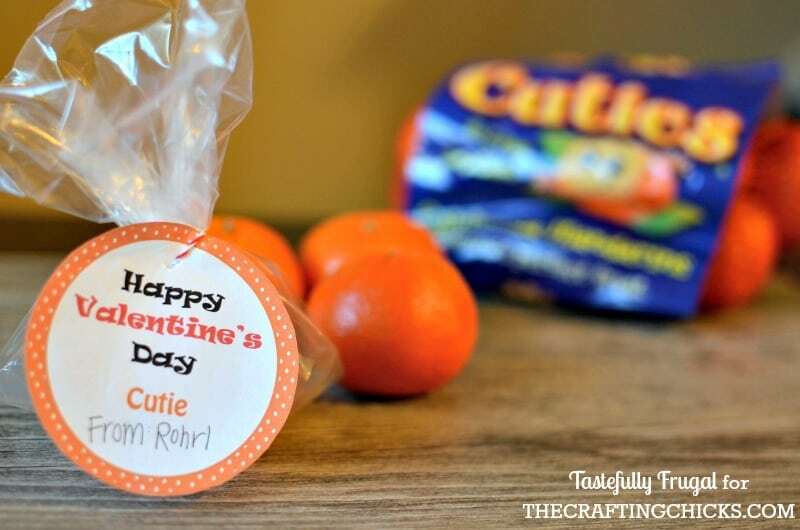 I love that you’re giving kids a break from all the tooth decaying sweet candies that plague us during Valentine’s Day and giving them a healthy treat instead! Thank you Meaghan… my thoughts exactly! !